I am a Professor in the Department of Electrical and Computer Engineering at Gina Cody School of Engineering and Computer Science, Concordia University. My research focuses on the opportunities at the intersection of Software Engineering and Data Analytics. I am particularly interested in approaches that harness the wealth of information in machine data (software traces and logs, machine-generated logs, code commits, etc. ), using data analytics, machine and deep learning, and modeling techniques, to support software development and operations, software evolution and analytics, security monitoring, process analysis, and operational intelligence tasks. My research has an industrial focus. Over the years, I have led many research and development projects with various organizations including Ericsson, CAE, Ubisoft, Marivent, Opal-RT, and DRDC (Defence R&D Canada). I am on the organization committees of ICSE 2019 and ICPC 2019 . Both conferences will be held in Montreal from May 25 to May 31. Consider attending! I am currently an active governance board member of ITACS BTM Forum, a leader in digital transformation and disruptive technologies. I was heavily involved in the development of OCUP2 (OMG Certified UML Professional) and OCEB2 (OMG-Certified Expert in BPM) certification programs, taken by thousands of practitioners every year. Md. S. Islam, W. Khreich, A. Hamou-Lhadj, "Anomaly Detection Techniques Based on Kappa-Pruned Ensembles," IEEE Transactions on Reliability 67(1): 212-229, 2018. N. Ali, H. Cai, A. Hamou-Lhadj, J. Hassine, "Exploiting Parts-of-Speech for effective automated requirements traceability," Elsevier Journal of Information & Software Technology (IST), 2018. W. Khreich, S. S. Murtaza, A. Hamou-Lhadj, C. Talhi, "Combining heterogeneous anomaly detectors for improved software security," Elsevier Journal of Systems and Software (JSS) 137: 415-429, 2018. W. Khreich, B. Khosravifar, A. Hamou-Lhadj, C. Talhi, "An anomaly detection system based on variable N-gram features and one-class SVM," Elsevier Journal of Information & Software Technology (IST), 91: 186-197, 2017. M. Nayrolles, A. Hamou-Lhadj, "CLEVER: Combining Code Metrics with Clone Detection for Just-In-Time Fault Prevention and Resolution in Large Industrial Projects," In Proc. of the International Conference on Mining Software Repositories (MSR), 2018. M. Nayrolles, A. Hamou-Lhadj, S. Tahar and A. Larsson, "JCHARMING: A Bug Reproduction Approach Using Crash Traces and Directed Model Checking," In Proc. of the 22nd IEEE International Conference on Software Analysis, Evolution, and Reengineering (a merger of WCRE and CSMR) (SANER'15), 2015. Best Paper Award. 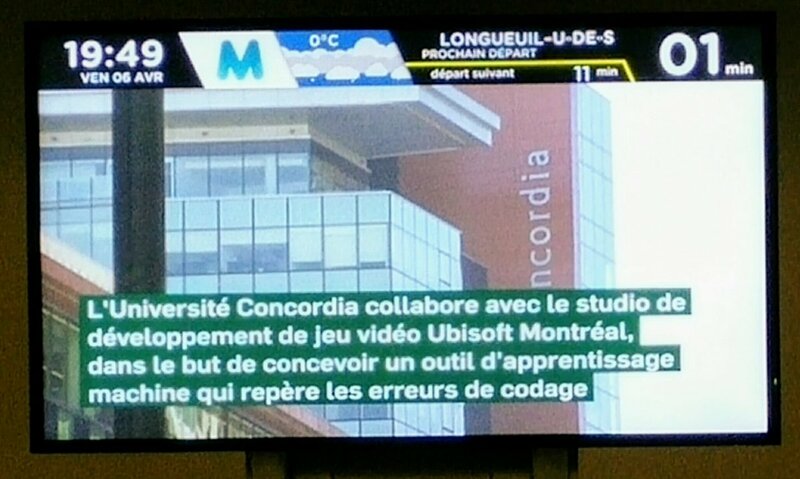 The Globe and Mail, The Financial Post, Ottawa Citizen, CTV News, Penticton Herald, Wired, Bloomberg, Futurism, gamesindustry.biz, Concordia University News, L'Actualite. March 2019. Dr. Hamou-Lhadj is invited to give a talk at UQAM on the use of machine learning to predict software faults at commit-time (as programmers write code), work he did with former PhD student, Mathieu Nayrolles, who is now at Ubisoft. The talk will be on April 10. March 2019. Dr. Hamou-Lhadj joins ACFAS (Association francophone pour le savoir), the principal French-language science and technology society in Canada for promoting research and innovation as well as scientific culture in the French-speaking world. February 2019. Clever-Commit, a tool based on Commit-Assistant (also known as CLEVER) that was developed in my research lab in collaboration with Ubisoft, is now being used by Mozilla in the development of Firefox. Read more. Commit-Assistant uses AI to detect and prevent insertion of defects as programmers write code. Read full paper. February 2019. 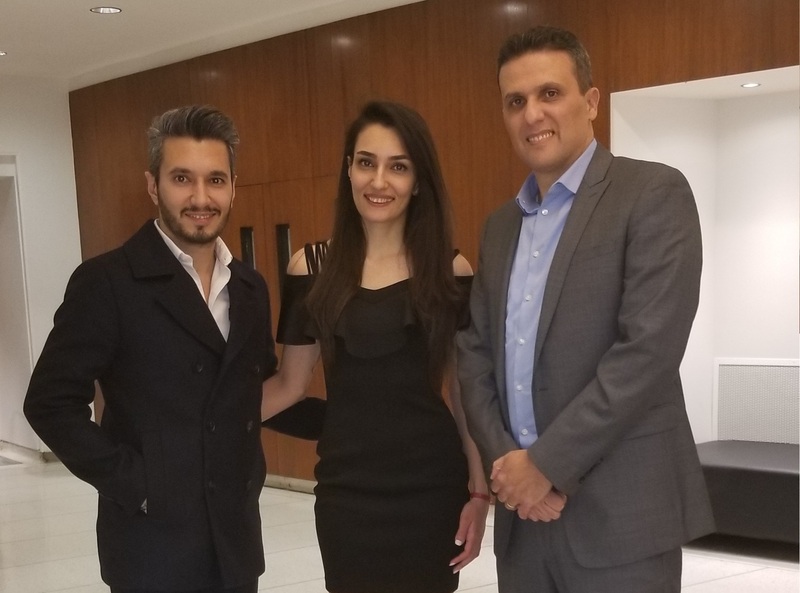 Congratulations to PhD candidates, Neda Ebrahimi and Islam Shariful, for joining Samsung AI and Productions TMV as Data Scientists while finishing up the writing of their theses, hence doubling the success! Well done. February 2019. Our paper on "Model execution tracing: a systematic mapping study" is now published in the proceedings of SoSym. January 2019. 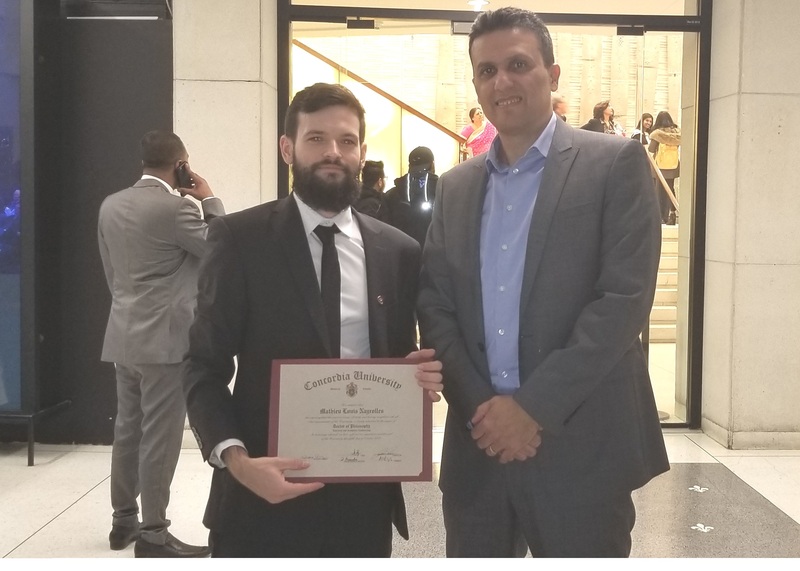 Dr. Hamou-Lhadj's project on combining machine (deep) learning models and a BDI framework for enhanced anomaly detection in collaboration with Dr. Ingrid Nunes from UFRGS , Brazil won the Emerging Leaders in the Americas Program (ELAP) Competition. PhD student Joao Faccin is the recipient of the awarded scholarship. Congratulations to Joao! November 2018. Dr. Hamou-lhadj was invited to participate in the "Colloque du scientifique en chef en collaboration avec Ubisoft La Forge -Entreprise, université, société : la synergie des savoirs," organized by Fonds de Recherche du Quebec (FQR) and Ubisoft. November 2018. Our paper on "Exploiting Parts-of-Speech for effective automated requirements traceability," is now published in Elsevier Journal of Information & Software Technology (IST). November 2018. Students Mathieu Nayrolles (PhD) and Sama Khosravifar (MASc) at the fall graduation ceremony. October 2018. 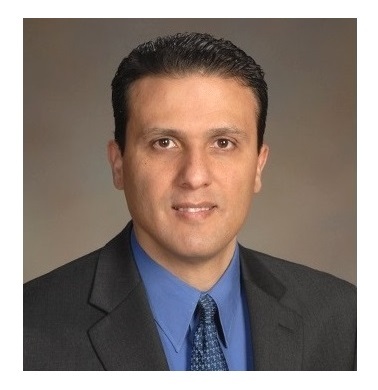 Dr. Hamou-Lhadj gave a keynote panelist talk on "From Debugging to Repair: A Look at the Practice of Logging," at ISSRE's International Workshop on Debugging and Repair (IDEAR'18), Memphis, TN, USA. October 2018. Congratulations to Sama Khosravifar for defending successfully her Master's thesis. Sama's work is on designing trace-based anomaly detection techniques using multi-agent systems. September 2018. PhD student Mathieu Nayrolles featured in a Concordia STEM SIGHT article. August 2018. Congratulations to postdoc Dr. Fabio Petrillo for his new position as an Associate Professor at l'Universite du Quebec.